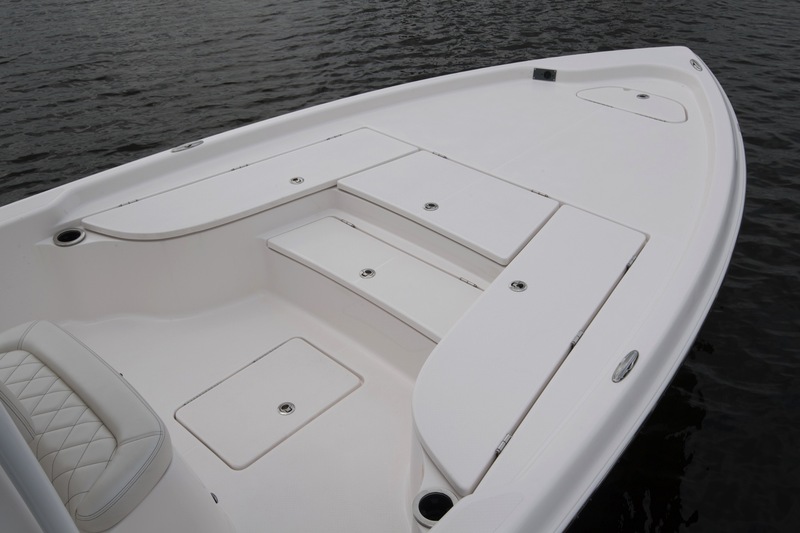 The 2400 Pure Bay is the pinnacle of modern bay boat design. 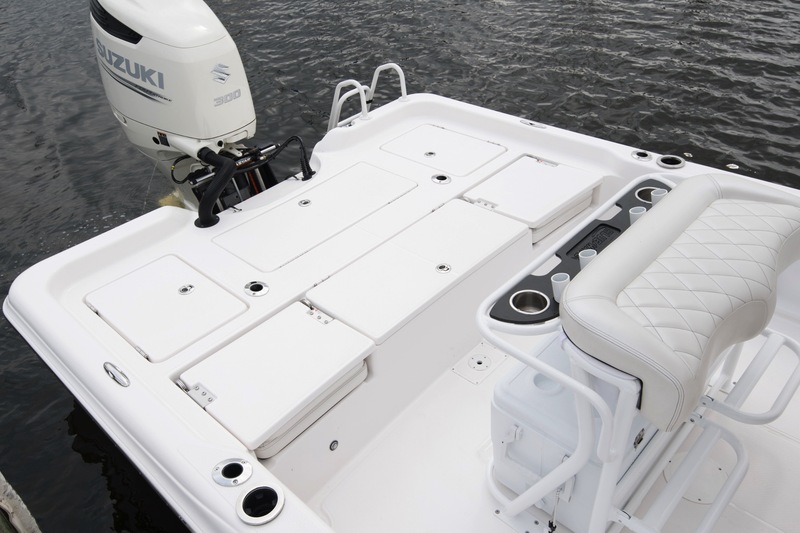 The words we hear most often from owners and critics alike are that they are impressed by it's "performance", "features" and "fit and finish". 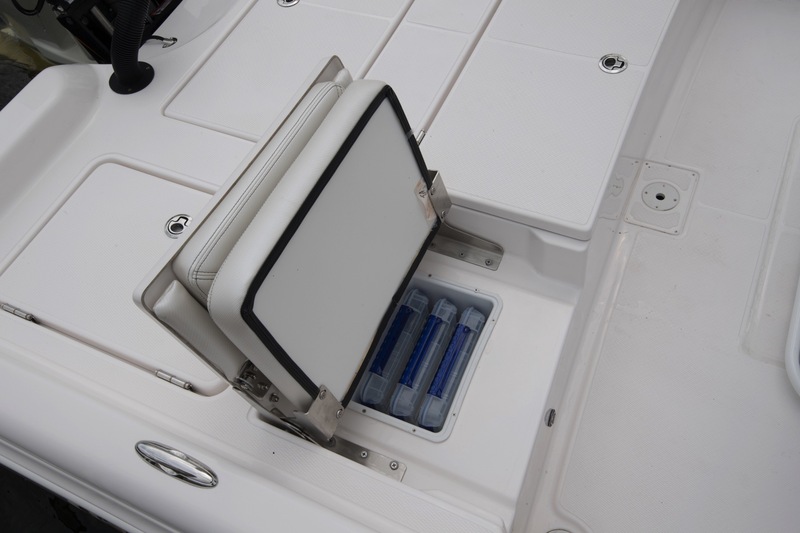 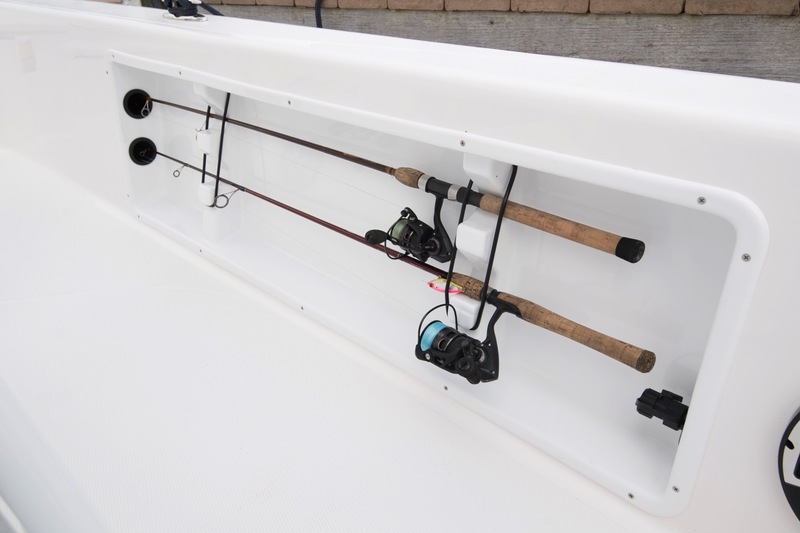 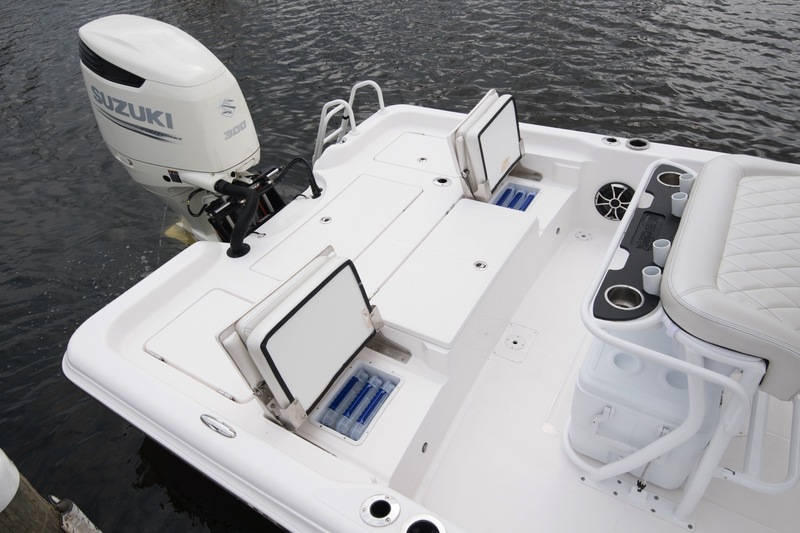 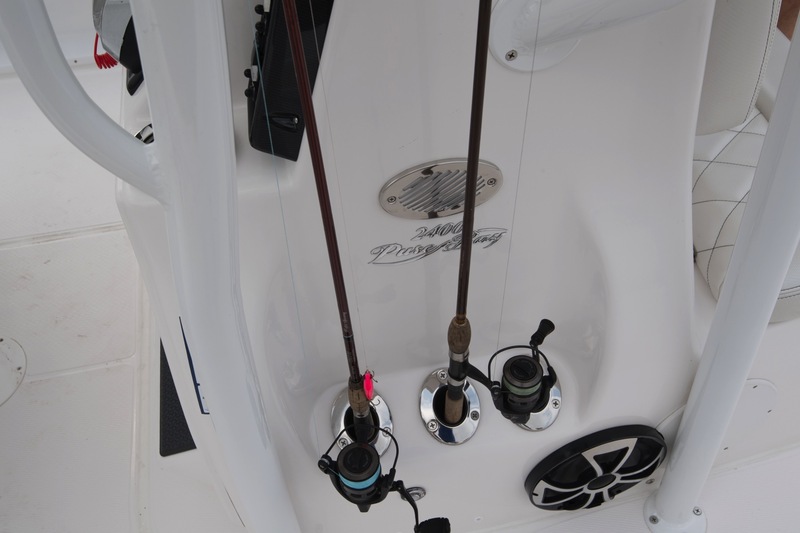 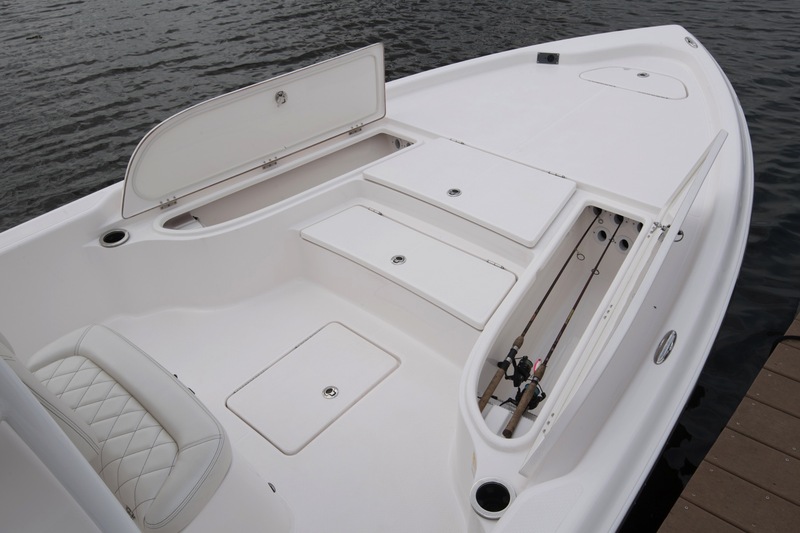 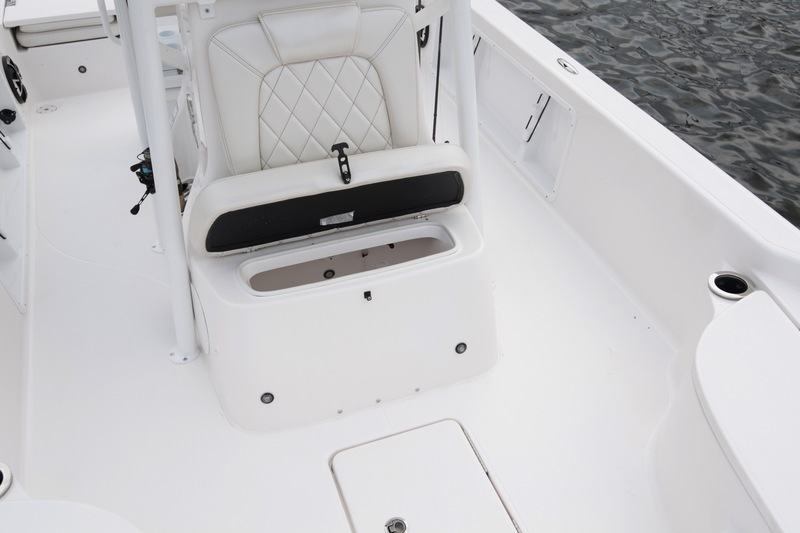 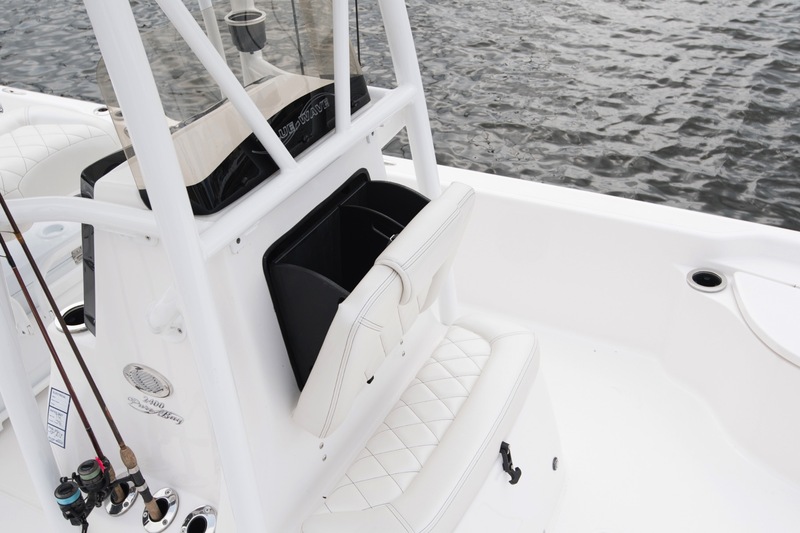 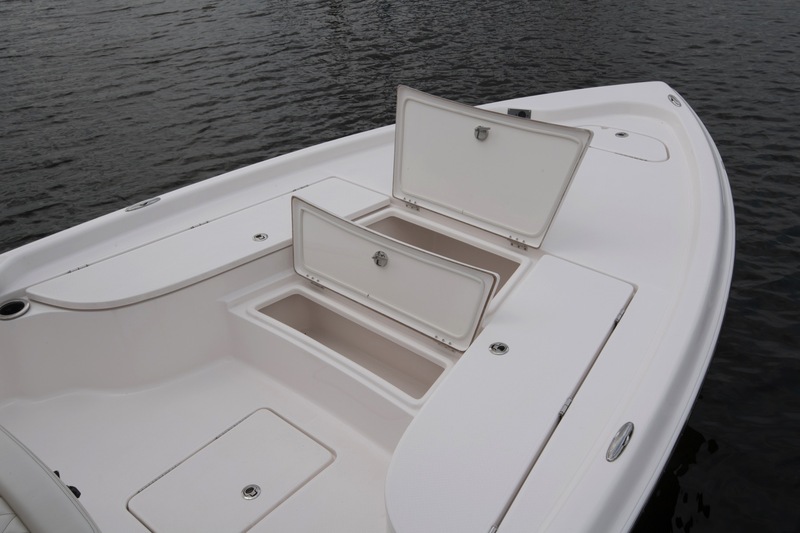 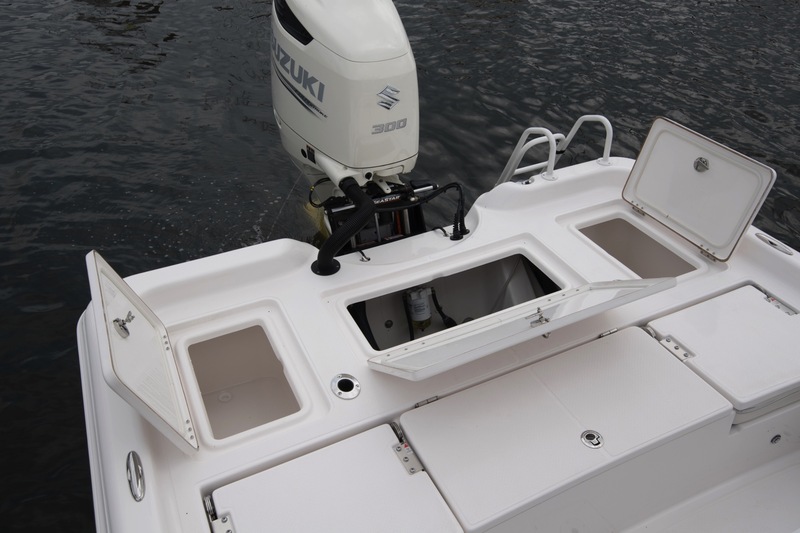 The 2400 Pure Bay boasts industry leading style, performance and features that include a Pro Series 3" drain that is nearly impossible to clog and a drain system that helps keep your floor nice and dry in almost any conditions, proprietary hull design and all stainless steel hardware. 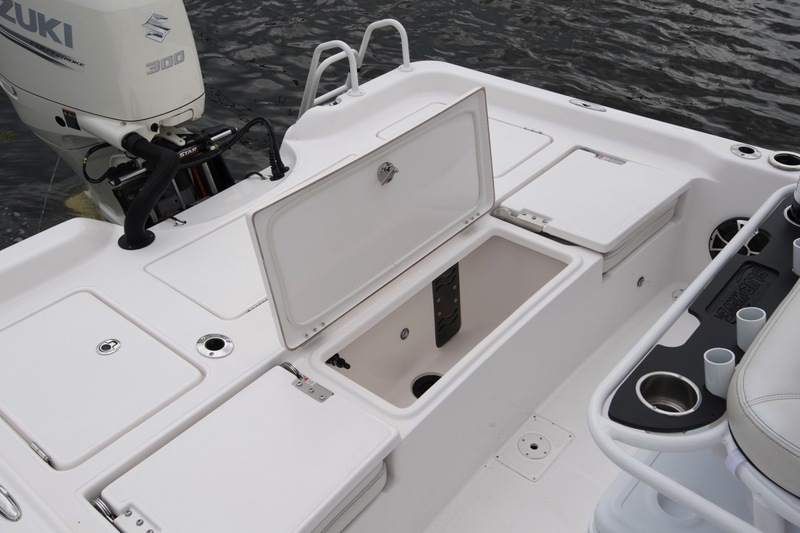 The interior is designed to accommodate the most possible built-in features while still providing a tremendous amount of fishing area. 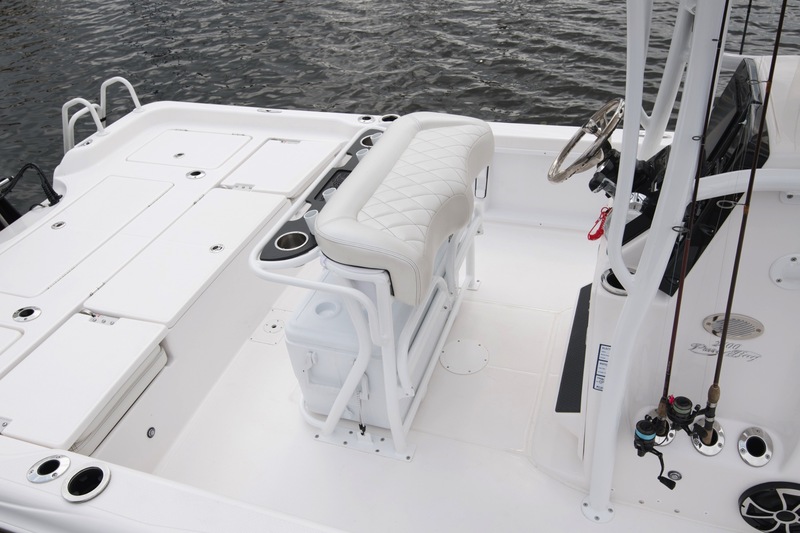 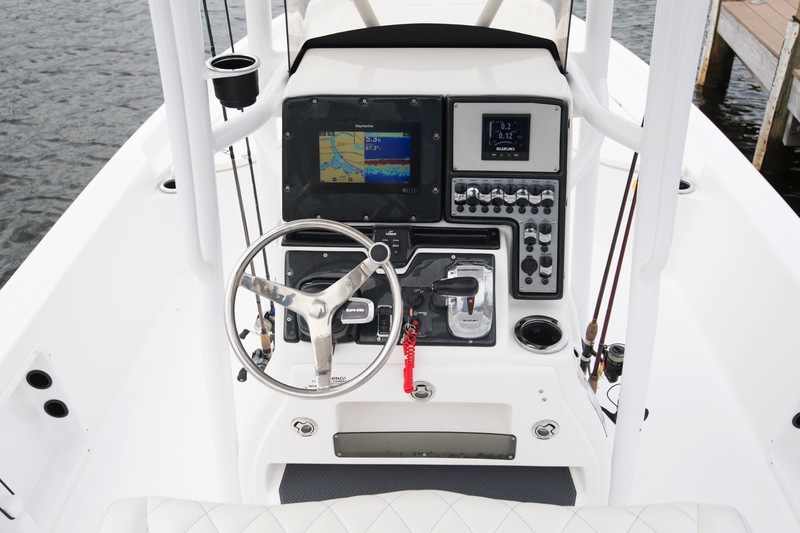 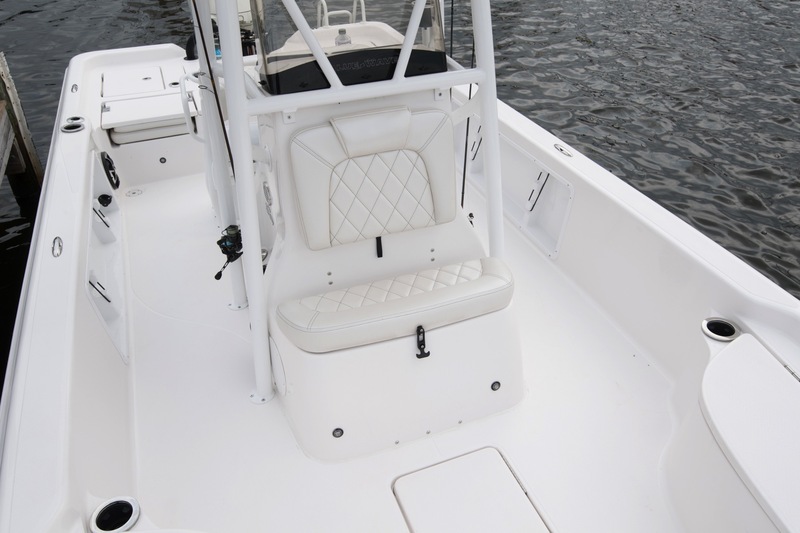 It has extremely large front and rear casting decks and plenty of room to fish comfortably from anywhere on the floor. 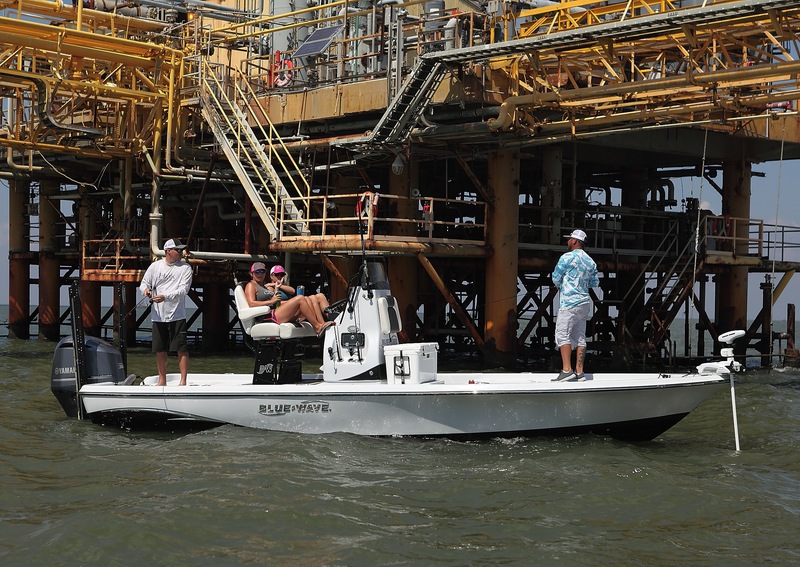 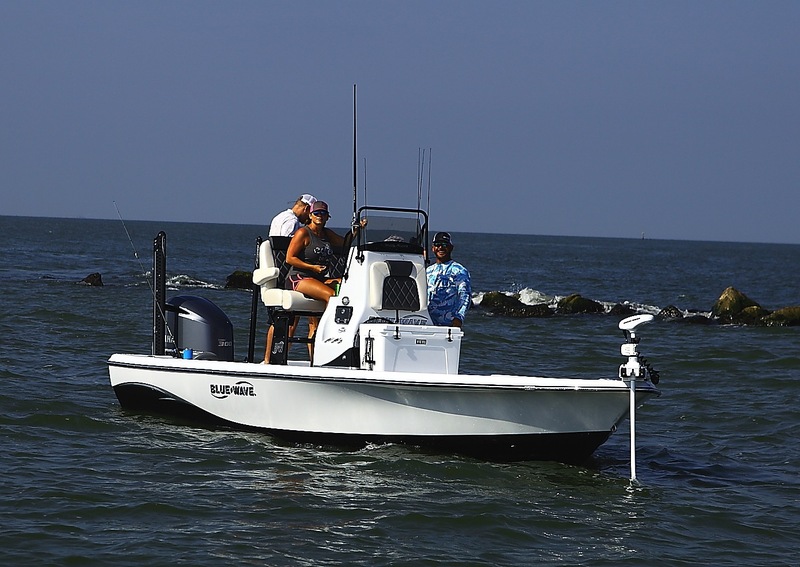 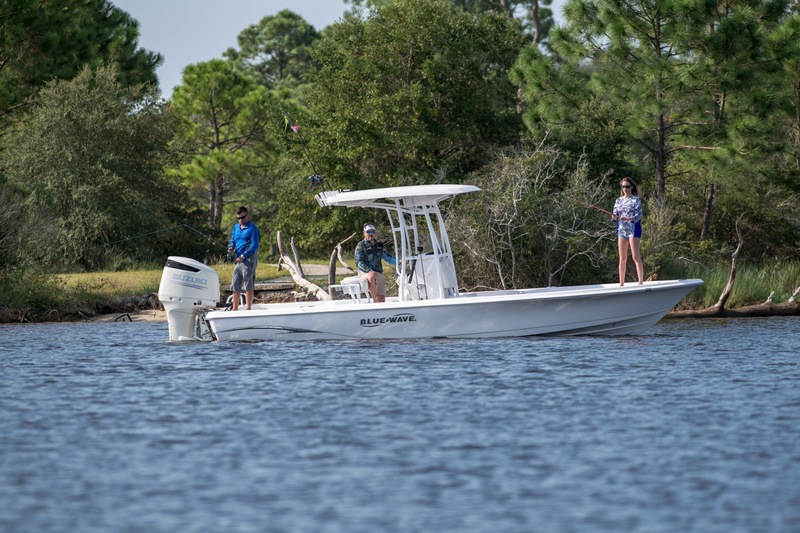 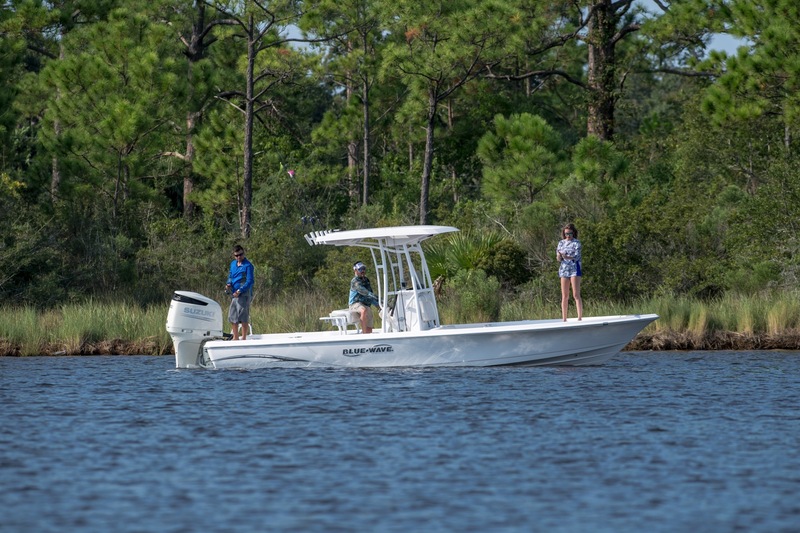 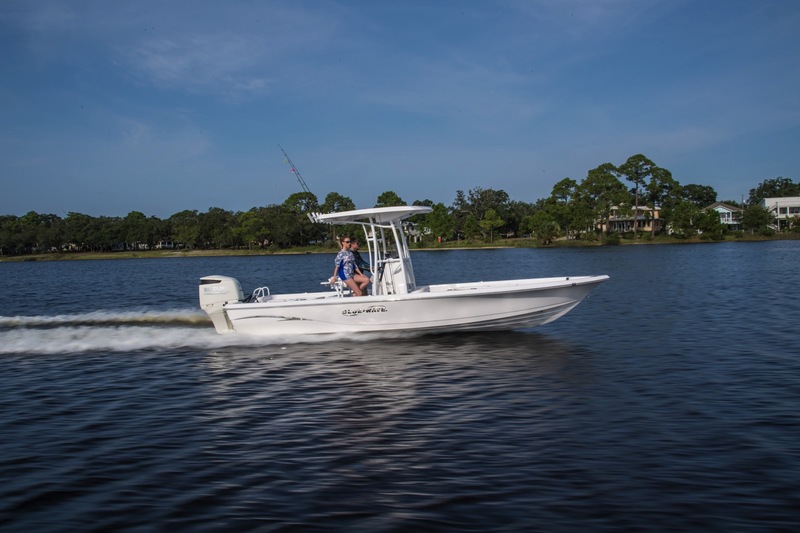 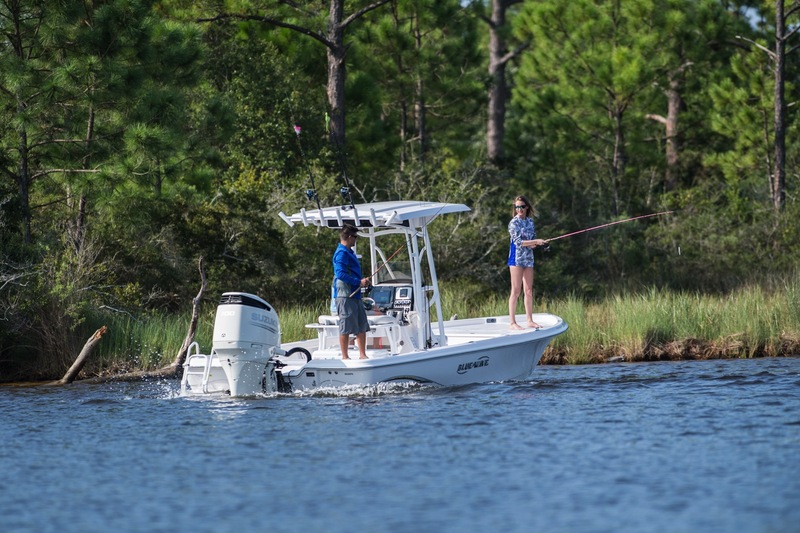 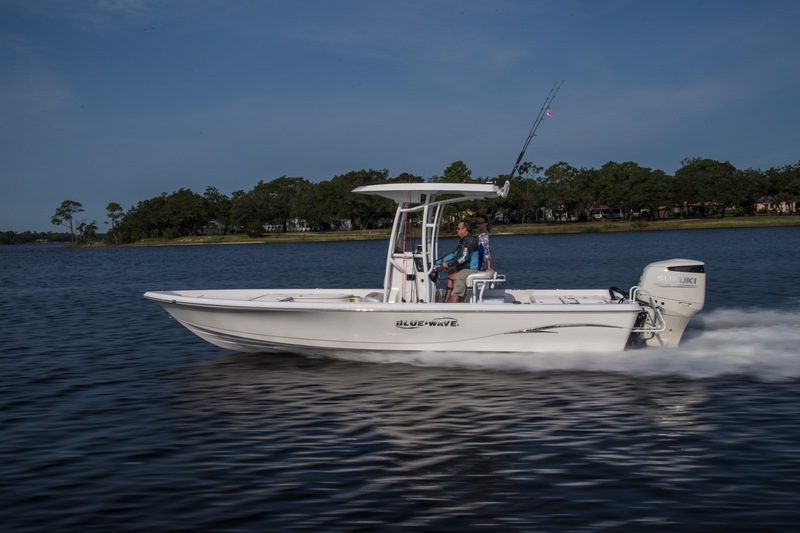 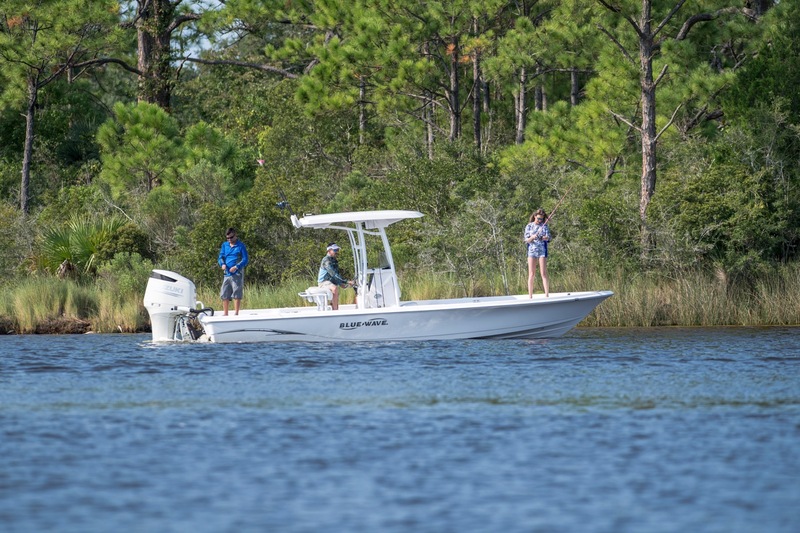 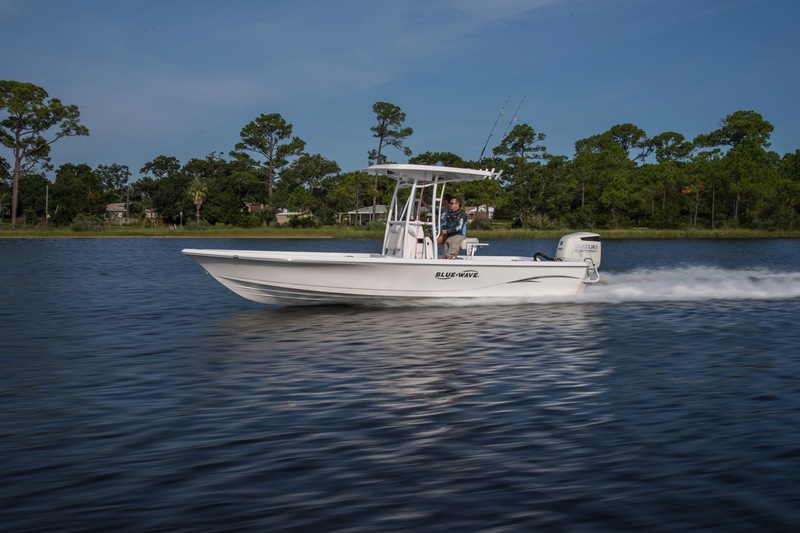 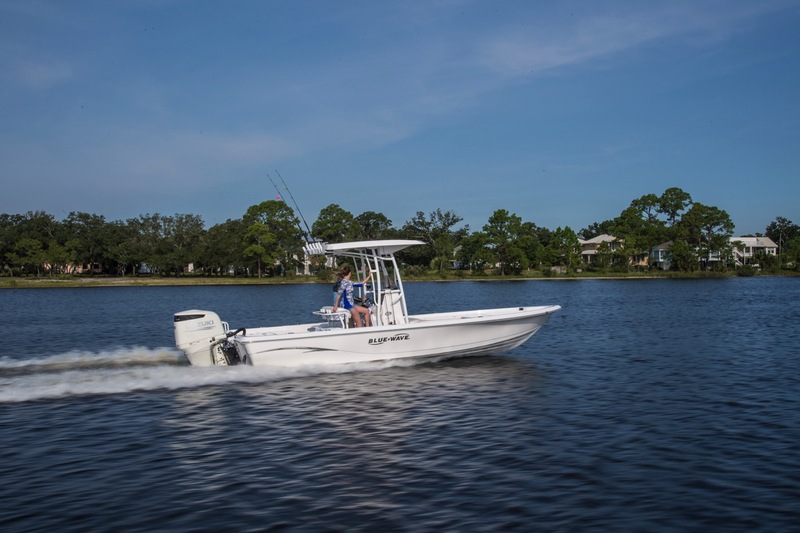 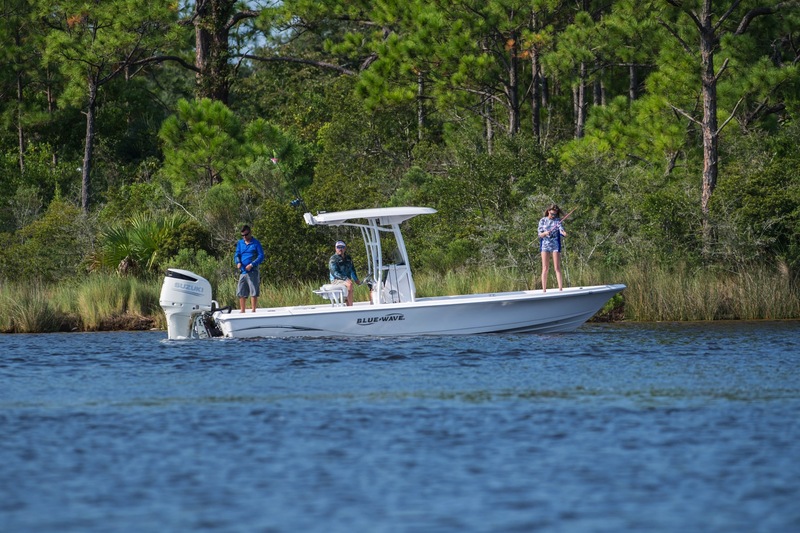 The 2400 Pure Bay's construction utilize the newest, state-of-the-art materials and manufacturing processes backed by the Blue Wave family's style of boat building. 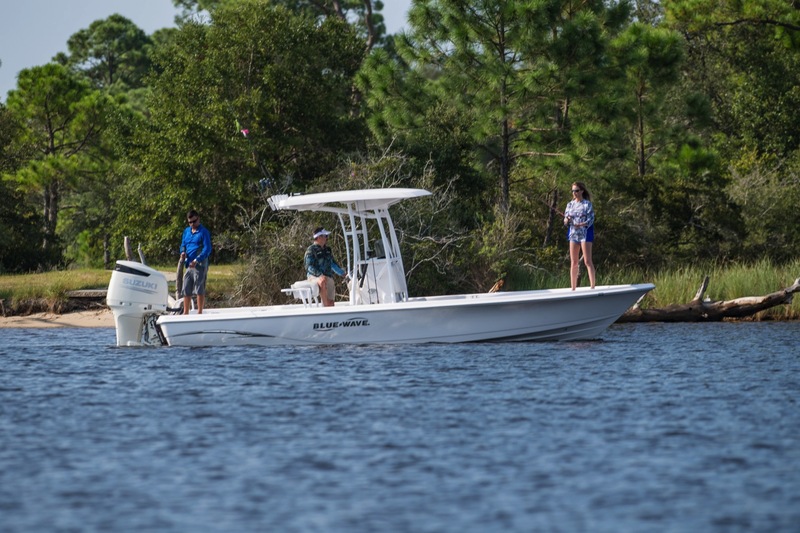 This boat, just like the 2200 Pure Bay, will sell itself to you on the water with its awesome performance. 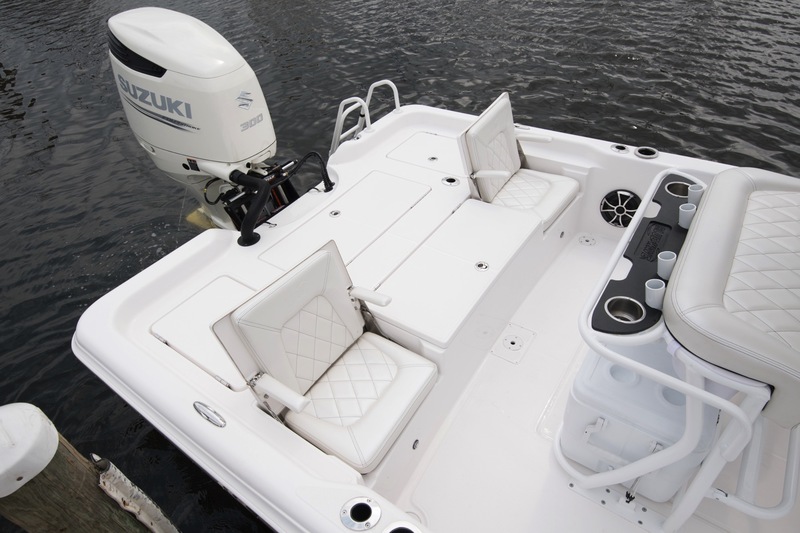 Let one of our amazing dealers help you find the boat that is best for you! 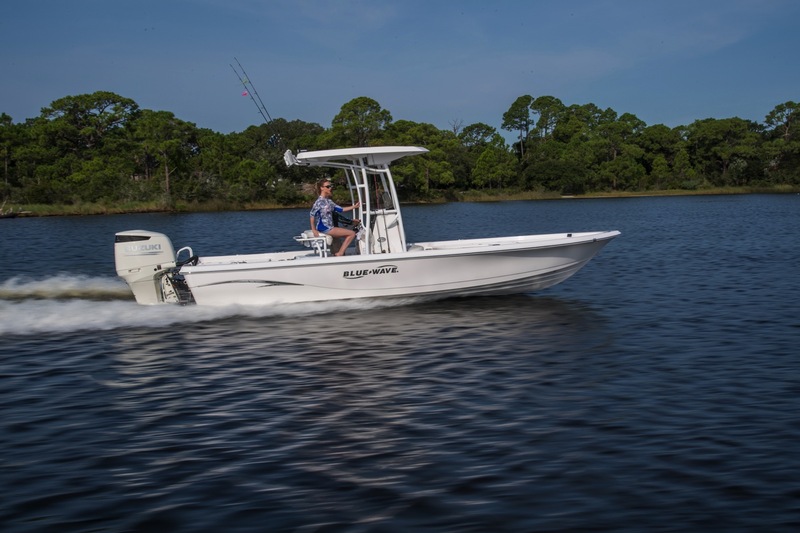 Enter your location to find the nearest Blue Wave Boat Dealer to where you will be doing your boating. 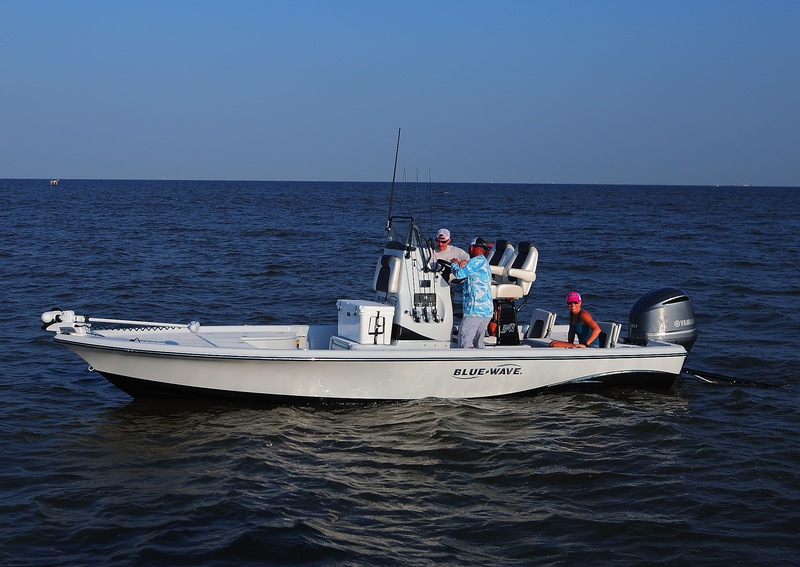 If you have questions for the Blue Wave Customer Service Team, contact us here. 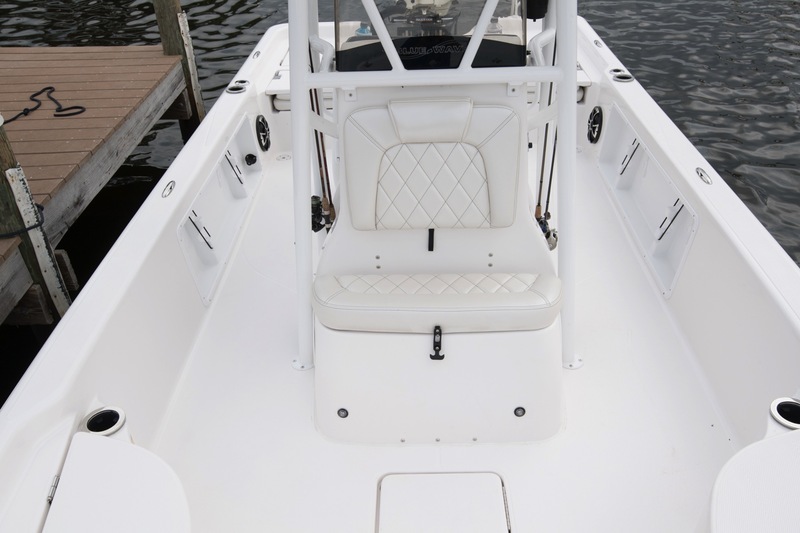 We specialize in building high performance, quality, custom fishing boats! 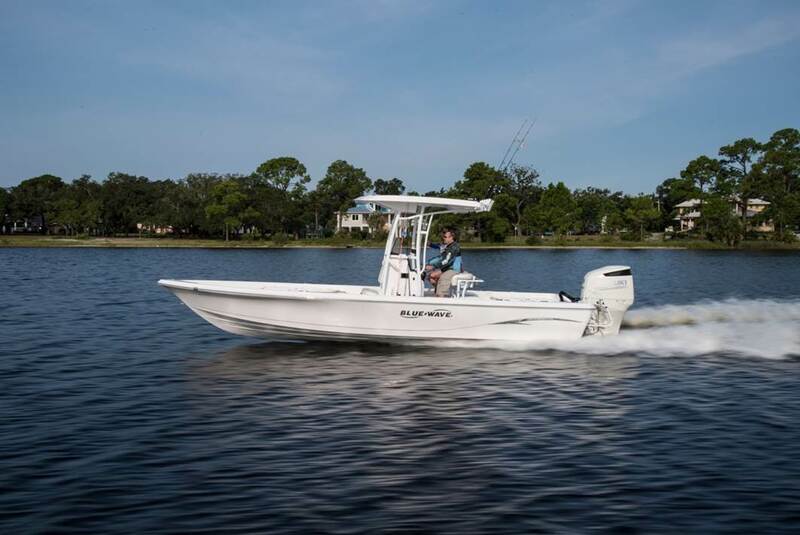 © 2019 Blue Wave Boats / All rights reserved.